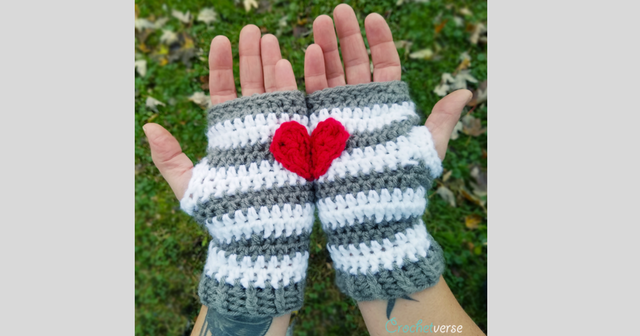 Free Crochet Fingerless Gloves Pattern – Heart in Hand! 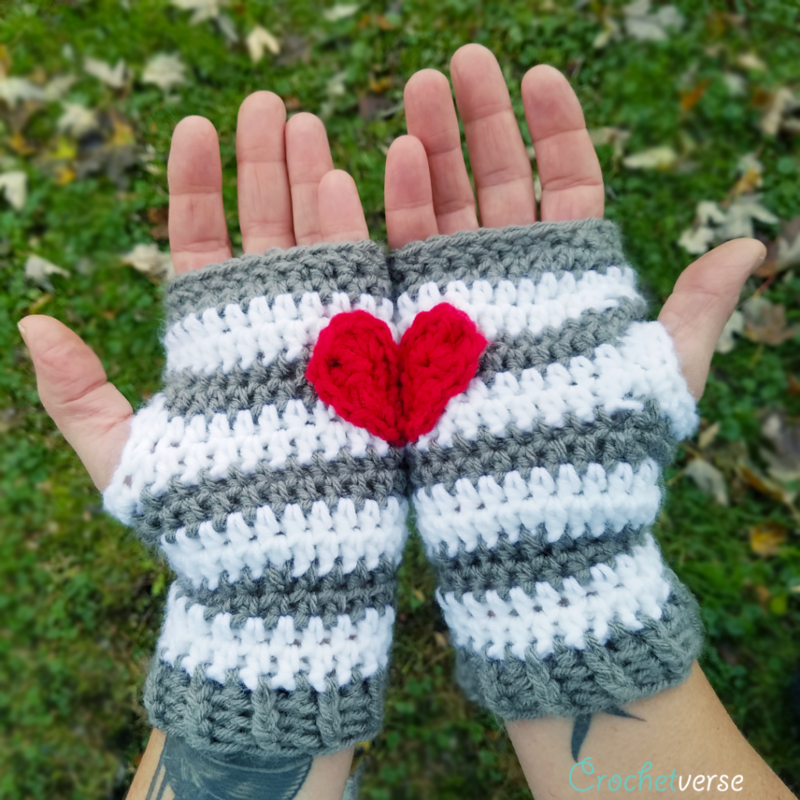 FREE HEART IN HAND FINGERLESS GLOVES PATTERN! no more than 50 yards each of white and gray worsted weight yarn (or the color of your choice). Shown is Red Heart Super Saver in white, gray, and red. I am on the tighter side of crocheting, so you should check your gauge to be sure you are near to me. If not, you can go up or down a hook size until our gauges meet. For these, your 1st 4 rounds as worked should measure about 1 3/4″ tall and in 2″ wide you should have about 8 sts. Sized For: These are one size and should fit most women and teens. If you are in a time crunch and don’t want to learn a new trick today, you can begin my chaining 25 and working round 1 into that after you sl st it to the 1st ch made to form a ring. Beginning chains can be somewhat binding, consider going up one hook size for your CHAIN ONLY so as to avoid this. Rnd 1: With gray, make a chainless foundation row of 25 hdc, taking care to not twist, join to 1st hdc made to form a ring. You can use the beginning tail to close up the bottom of the row with tapestry needle later. Rounds are joined but not turned. Mark 1st st of each round to keep track of count. 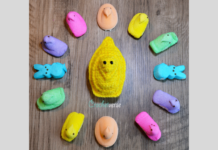 Color Change Method: When you sl st at the end of the round to the 1st st made, you will perform the final pull through of the yarn with the NEW color and drop, but do not cut, the old color. Place the yarn not currently being used to the INSIDE of the glove or wrong side of the work. This way when we carry, it will be hidden inside. Each row begins with the color used for that row in parentheses. (G) is gray and (W) is white. Rnd 11-12 (W): repeat rounds 3-4. With the right side of the gloves facing out and the opening near the fingers facing away from you, join gray with a sl st in the 1st round made in any st around, ch 1, sc in same st and in each st around, sl st to 1st st sc made, cut yarn. Repeat for second glove. With the right side of the gloves facing out, join white in any st around the thumb opening with a sl st, ch 1, sc in each st and chain around, sl st to 1st sc made, cut yarn. Repeat for second glove. For right palm: ch 5, sc in 2nd ch from hook and nxt, hdc in nxt ch, (2 dc, 2 tc, 3 dc, hdc, sc) all in the last ch, continue to work on the opposite side of the beginning chain working in the remaining free loop and sc in the nxt ch, sl st in nxt 2 chs, ch 2, sl st to 1st st made, tie off leaving a tail to sew to glove later. For left palm: ch 6, sl st in 3rd ch from the hook and nxt ch, sc in nxt ch, (sc, hdc, 3 dc, 2 tc, 2 dc) all in the last ch, continue to work on the opposite side of the beginning chain working in the remaining free lop and hdc in nxt ch, sc in nxt chs, sl st to 1st skipped ch and cut yarn leaving a long tail to sew to glove later. *Use the beginning tail to seam closed any hole that was created by working all those sts in the last ch. 1. Weave in all remaining ends on the gloves. 2. Using the long end tail from each half of the heart, sew the right palm heart to the palm of the right glove (the thumbhole will be on the right when in proper position to sew it on). You want to have it slightly to the right of the edge so the heart lines up properly when hands are held together. 3. Repeat step 2, sewing the left palm heart half to the left glove. (the thumbhole will be to the left when in proper position to sew it on). 4. Go forth into the world and share the love…lol, BUT REALLY! Previous articleFree Tiny Octopus Pattern – Release the Kraken! Next articleFree Crochet Santa Bow Pattern! 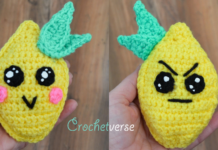 Hi, thank you for such a cute pattern. I’m working on the hearts and I’m confused as to what 2tc is suppose to mean? Please clarify. Thank you. Hi! 2 tc is two treble (also know as triple) crochet. 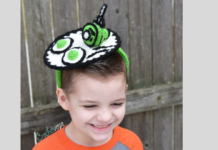 It is one step further than a double crochet. If you’ve not done one in your work prior, there are tons of good Youtube videos on them. Just search “how to triple crochet” thank you and hope you are enjoying the pattern!